Rabbi of Otniel explains why he refused Interior Minister Aryeh Deri's request to bring MK Yehuda Glick to Knesset after his wife's death. Rabbi Re'em Hacohen, the rabbi of the town of Otniel, explained today why he refused to ask MK Yehuda Glick to travel to the Knesset to vote on the supermarket law. "From a human point of view, what does it look like to you?" The rabbi told Channel Two News. "I said that the problem is not Halakhic, it's human." Rabbi Hacohen said that he spoke on the matter with Mount Hevron Regional Council head Yochai Damari and with MK Glick. "[The halakha] is irrelevant [in this case]. We have to act like human beings." Interior Minister Aryeh Deri said Tuesday that he attempted to bring MK Glick to the vote on the supermarket law following the death of his wife, Yaffi Glick, Monday. Deri said that he went to Otniel to ask Rabbi Hacohen if it was permissible for Glick to attend the vote during the shiva, the first week of mourning after the burial of a loved one. 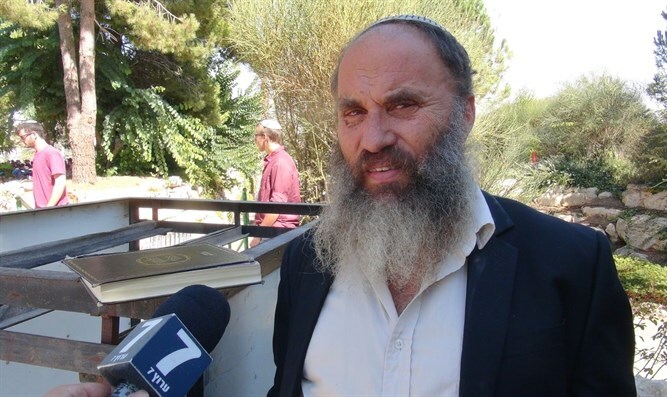 Deri said that he was "appalled" at the conduct of the opposition in refusing to grant a "pairing" for Glick and Religious Affairs Minister David Azoulay, who remains hospitalized. In parliamentary practice, "pairing" is an informal arrangement between government and opposition parties whereby a parliament member agrees or is designated to abstain from voting while a member of the opposing party needs to be absent due to pressing commitments, illness, travel problems, etc. The member abstaining from voting is referred to as a "pair". In Israel, the Hebrew term used is kizuz, which literally means "reduction" or "offset." The vote on the supermarket bill was postponed.